Good morning!! It's time for another Sweet Sunday Sketch Challenge! Want to play along? Here is the deal: make a card with this layout and use the InLinkz button down at the very end of this post to enter your card. Be sure to link directly to the blog post or gallery image which features your card. You may post a picture of the sketch on your blog, but please save the image to your computer first. Use the keyword SSSC247 if you plan to post your card in an online gallery. I have another fun card using Cool Dudes from Paper Smooches. I cut out the image using the Cool Dudes Icons die set and then colored them with Copic Markers. 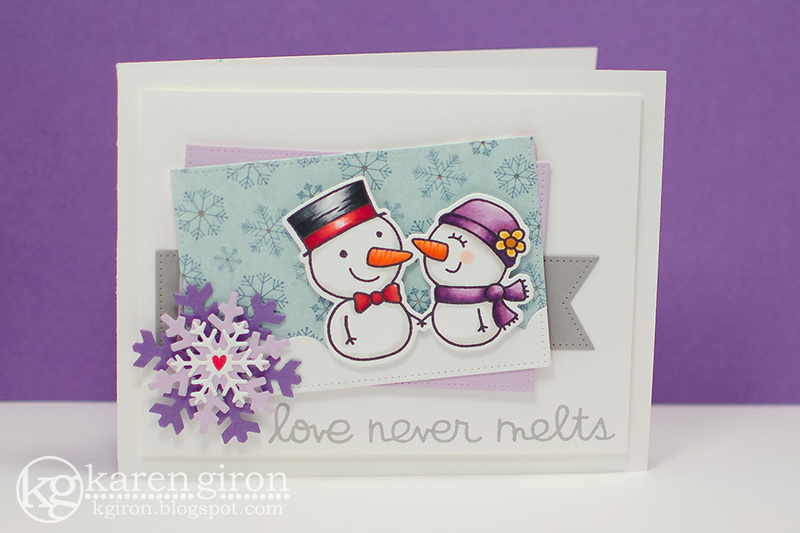 I used the Wonky Scallop Border die for the snow in the background and then added the Let It Snowflake die trio in the corner instead of a flower. I also added a little glaze to the heart on the top snowflake and some sparkle on the snowflakes in the background paper. Good morning!! It's time for another Sweet Sunday Sketch Challenge! Want to play along? Here is the deal: make a card with this layout and use the InLinkz button down at the very end of this post to enter your card. Be sure to link directly to the blog post or gallery image which features your card. You may post a picture of the sketch on your blog, but please save the image to your computer first. Use the keyword SSSC246 if you plan to post your card in an online gallery. I am sitting out for today, at least - I've not been feeling well and the stamping has taken a back seat for now. 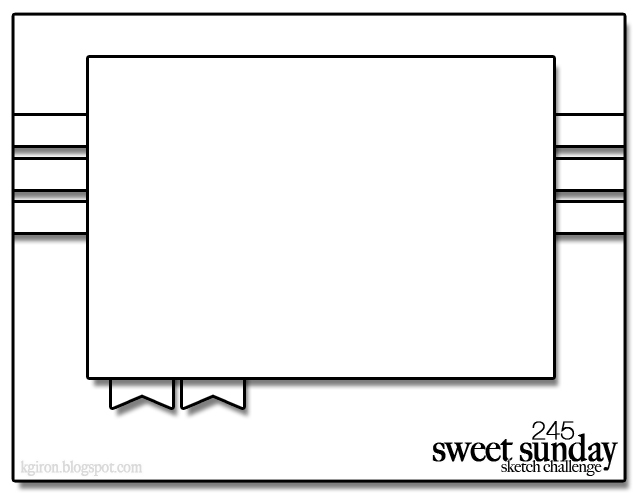 But in the mean time, please stop by to see what the Sweet Sunday Stampers have created for you! Good morning!! It's time for another Sweet Sunday Sketch Challenge! Want to play along? Here is the deal: make a card with this layout and use the InLinkz button down at the very end of this post to enter your card. Be sure to link directly to the blog post or gallery image which features your card. You may post a picture of the sketch on your blog, but please save the image to your computer first. Use the keyword SSSC245 if you plan to post your card in an online gallery. 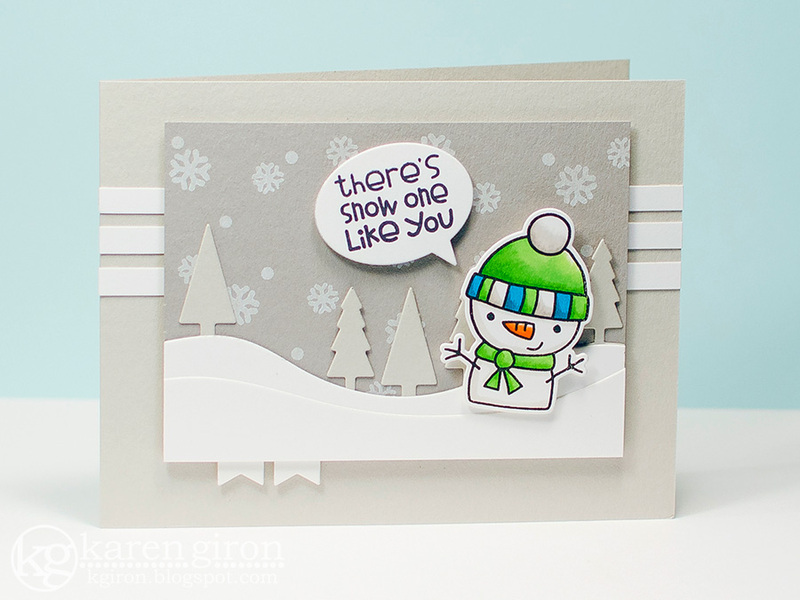 I picked up this darling snow man set from Paper Smooches called Cool Dudes this week and created a simple little scene for him with the sketch. 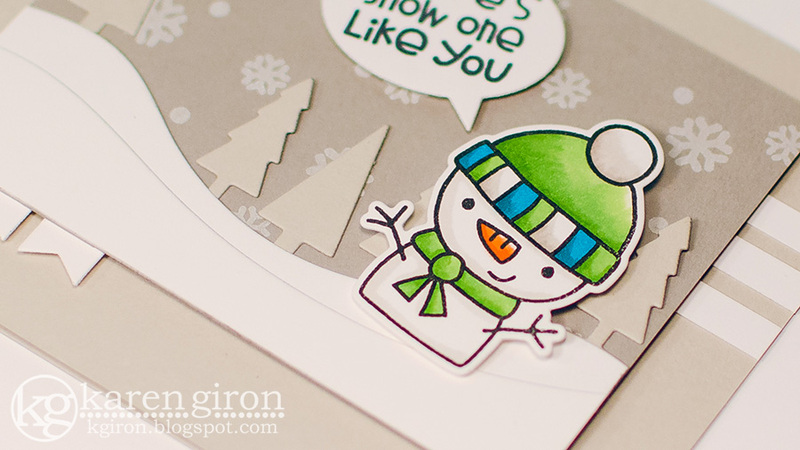 I cut out the snowman using the Cool Dudes Icons dies and then stamped him in black hybrid ink, then colored him with Copic markers. It's been a while since I've used my Copics! It felt good to color again, even though I feel a bit rusty with them now. 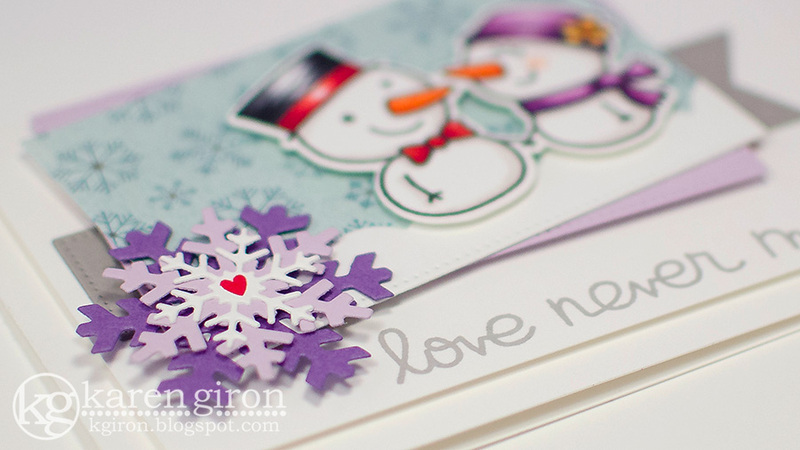 I added the trees in the background using Fog card stock and stamped the snowflakes in white pigment ink. Easy peasy!